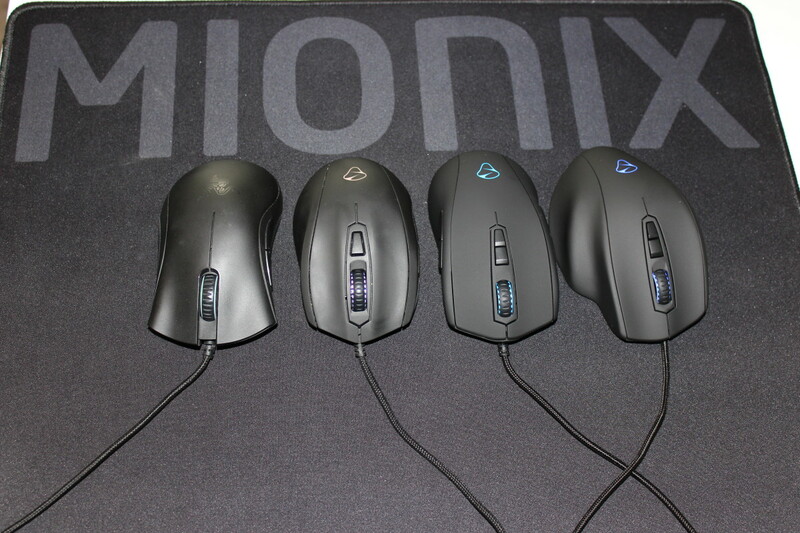 By now, i am sure many of us who owns a DeathAdder mouse and have used it extensively will encounter this dirty and yucky problem found on the rubber mat surface. It is simply a combination of dirt and perspiration from our hands. When it is not cleaned immediately after use, it dries up, slowly forming into a sticky yet somewhat dry substance. This is especially true and worst for those who have sweaty palms. 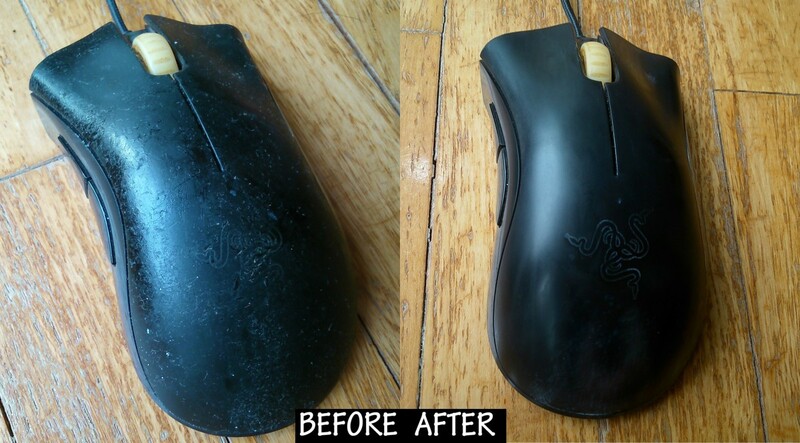 Based on personal experience for the past 4 years, i have always been cleaning my mouse with just a damp cloth. 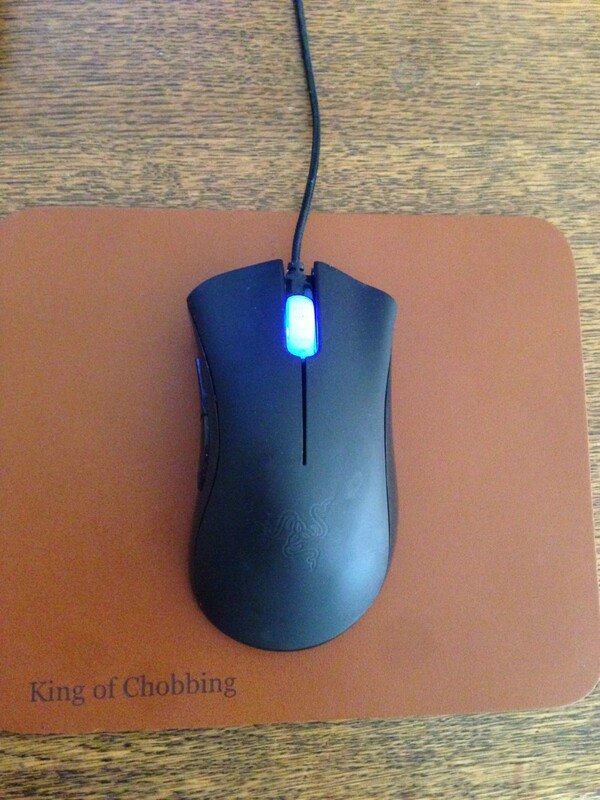 After each cleaning, the problem got from bad to worse - strands of tiny small fabric got stuck to the mouse's rubber surface. It got stickier with each cleaning. So i decided to do some research. Never thought cleaning would be this difficult. 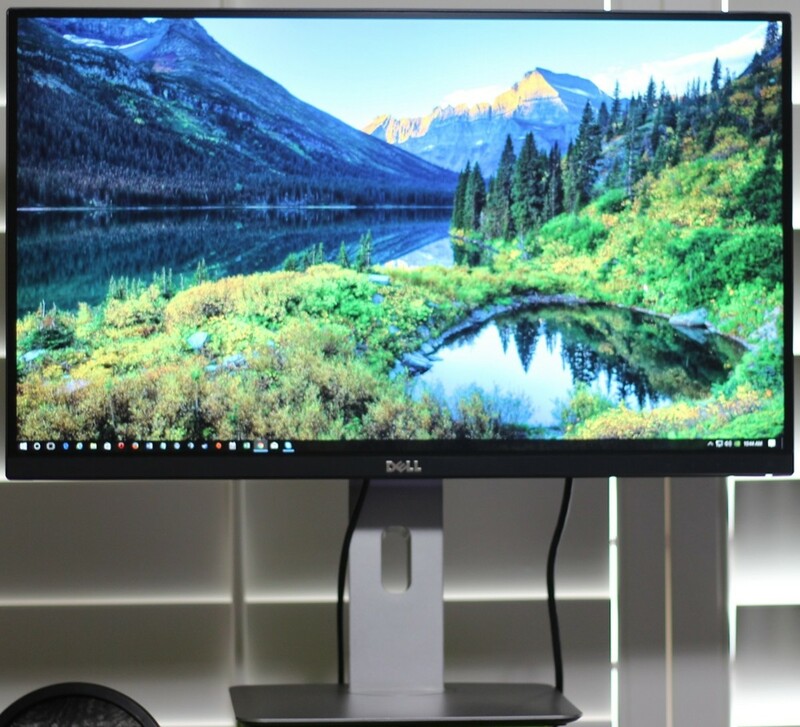 Some are great and works really well according to their experiences. But they can be difficult or costly to get. Such as using alcohol and a piece of cloth. However, it requires some level of precision as i have read that alcohol can cause the material to dissolve. I have come across some weird ideas like using sandpaper, an eraser, a scrub or even talcum powder. We would think twice or thrice before even attempting to do that. After all, it is not a cheap ugly device. We certainly wouldn't want to end up with a terribly scratched surface or a bad looking one. And of course, not forgetting the traditional methods of cleaning: soap or detergent, water and a rag. Turns out it didn't work out that well. Apparently, even with so many ways, there are those who tried everything but still failed to achieve the desired result. 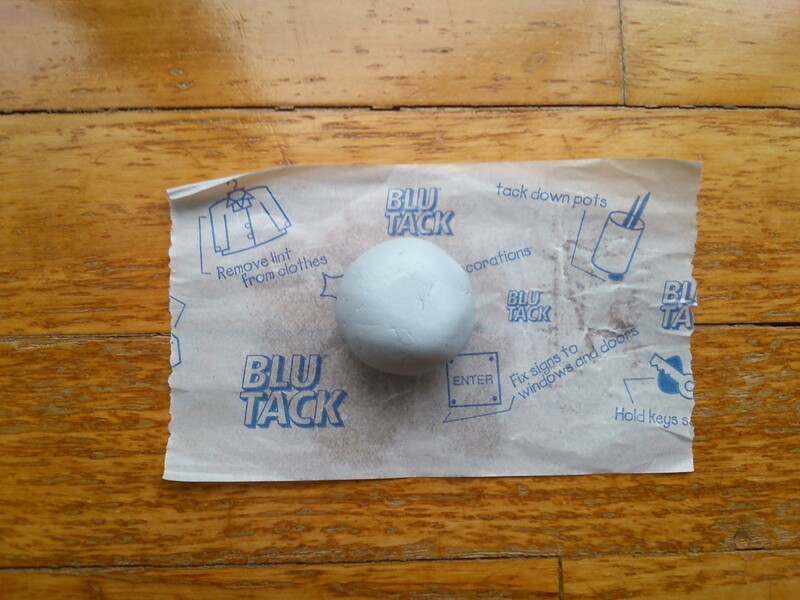 With that said, I have discovered another way to do this - 'The Blu-Tack Cleaning Method'. This method requires a few bucks if you don't have any black blu-tack in the house. i strongly recommend getting a black blu-tack. Not white, blue or any other color. 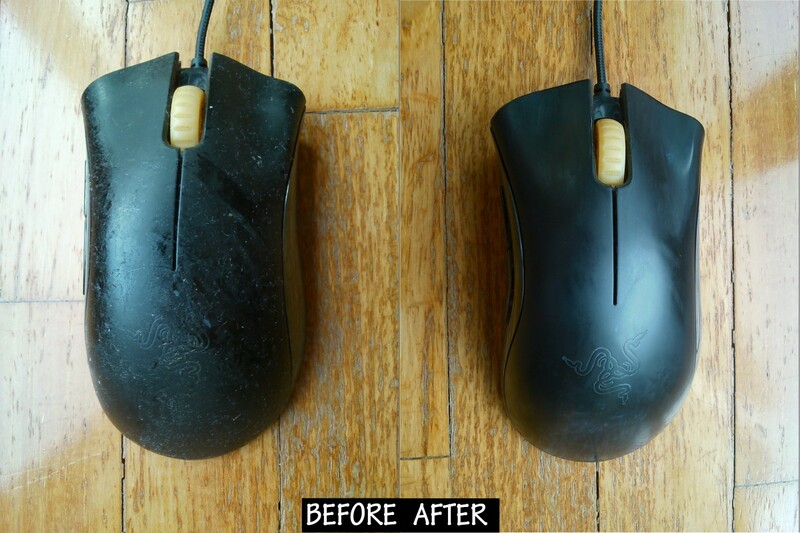 It also requires a lot of effort, time and patience depending on how dirty your DeathAdder mouse is. I took about 1 hour to clean mine. But it was totally worth it. Get a black blu-tack. But for demonstration purposes, i have decided to use a non-black one. This is how much you will need. 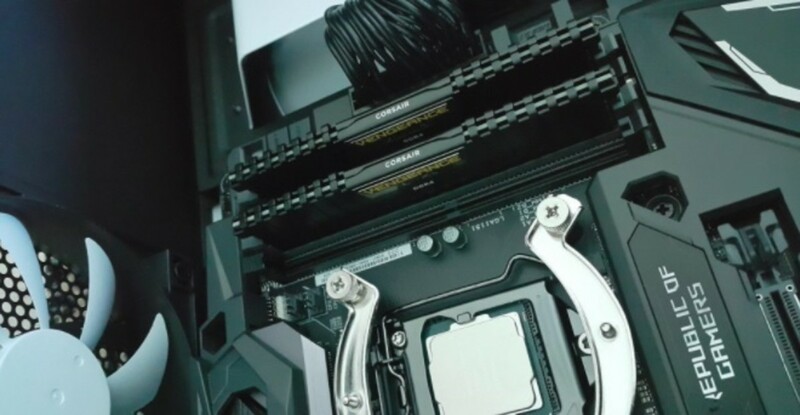 Enough to hold for easy cleaning. The bluish marks you see on the right are there because i had use a blue blu-tack. So make sure you get a black one. The difference is really astounding. Just look at it! Once you are done cleaning, you will have a nicely polished and smooth surface. Just like when it was brand new. If you are concerned with the smell, dip a cloth into some fragrant water and you can easily wipe all over the rubber surface unlike before. 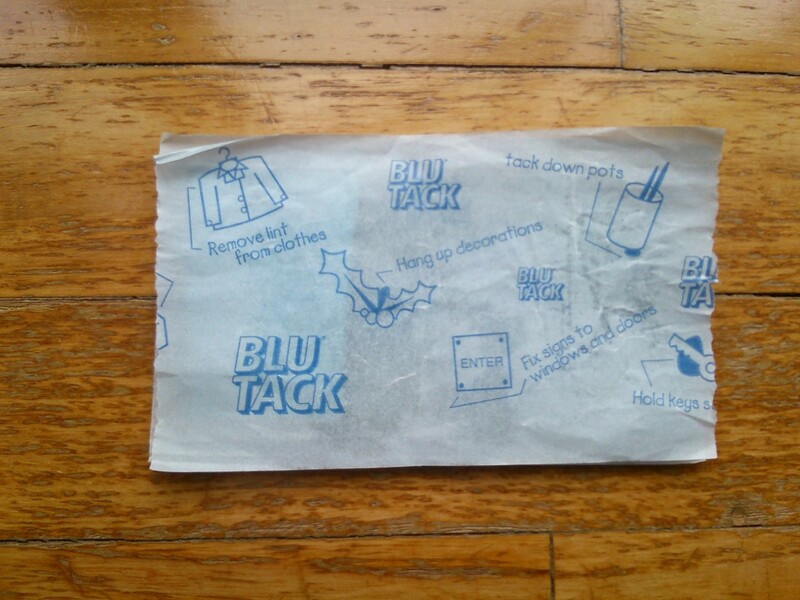 The blu-tack, unfortunately, can't be washed. it's simply impossible after getting all the dirt stuck to it. The only way is to stretch-and-mold it, over and over again. This doesn't remove the stain but at least, you won't have to see it at all. As for the smell, it wasn't all too bad. Therefore, it can be re-used. 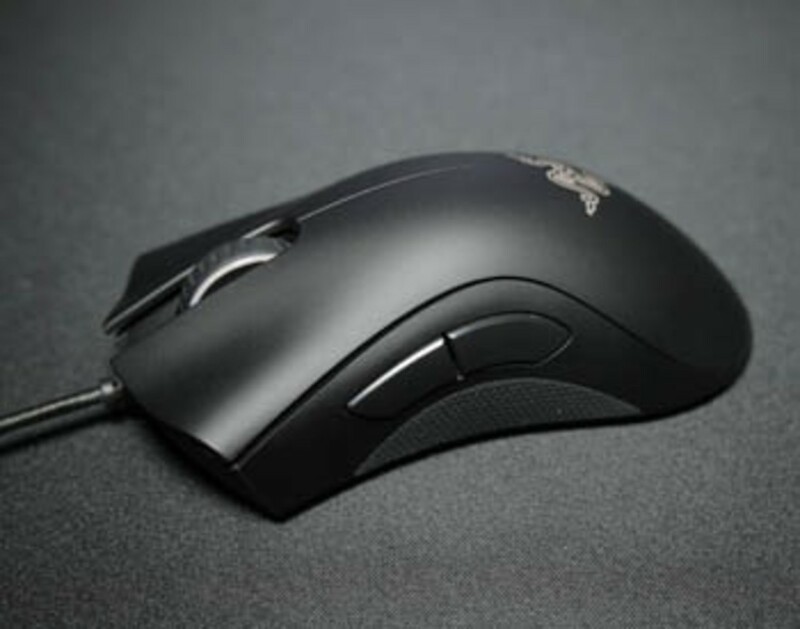 Most of Razer products, such as the Naga mouse, have the same rubber material used on them. 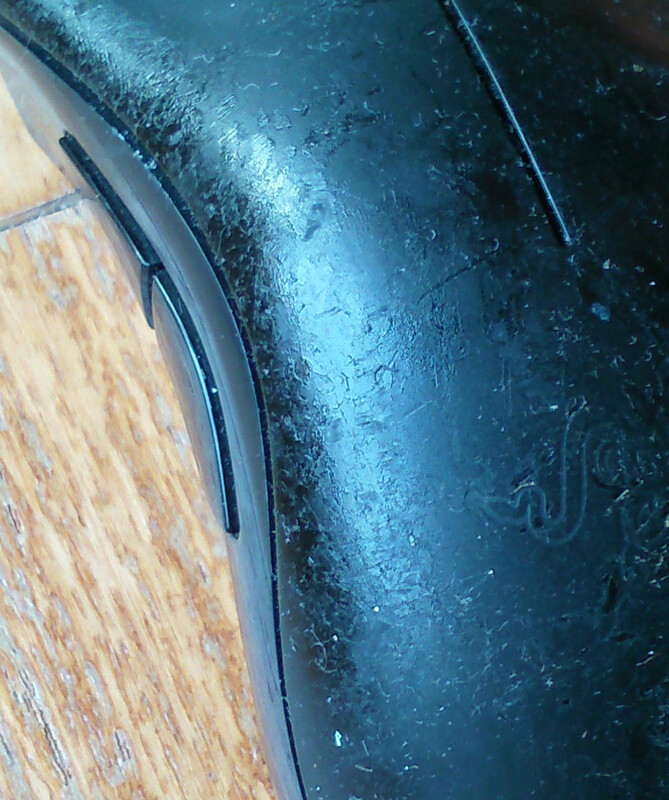 My Logitech Illuminated Keyboard's palm rest is made of the same material too. Based on my research, some of Microsoft peripherals and even cameras suffer from the same problem. In other words, the blu-tack cleaning method will most definitely work for them. Suggestions to improve or add-on to this method are welcomed too. Leave your suggestions in the comment section below. Thanks for reading and i hope this article has benefited you. Ever think to use an actual plastic cleaner/lubricant? WD-40 lubricant, even though it is a silicon lubricant, is actually bad for certain plastics it breaks them down. Plastic cleaners like ones for cleaning car dashboard, or revitalizing o-rings are designed to restore the plastic as well as clean. I used WD40 and some elbow grease - worked a treat. 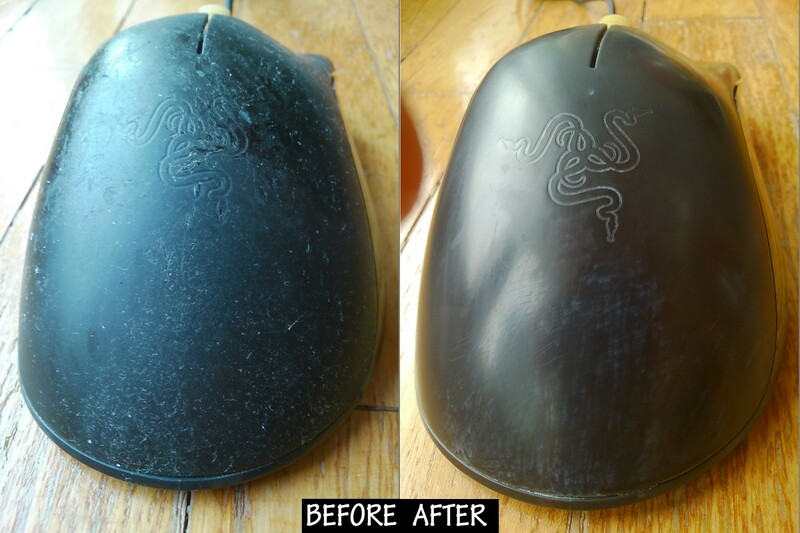 I used 3M 220 grit sandpaper on my mouse, it took it back to clear plastic and it looks awsome. I also used 400 grit paper and wet sanded the plastic to be completely smooth so it feels amazing and cleans off easily. 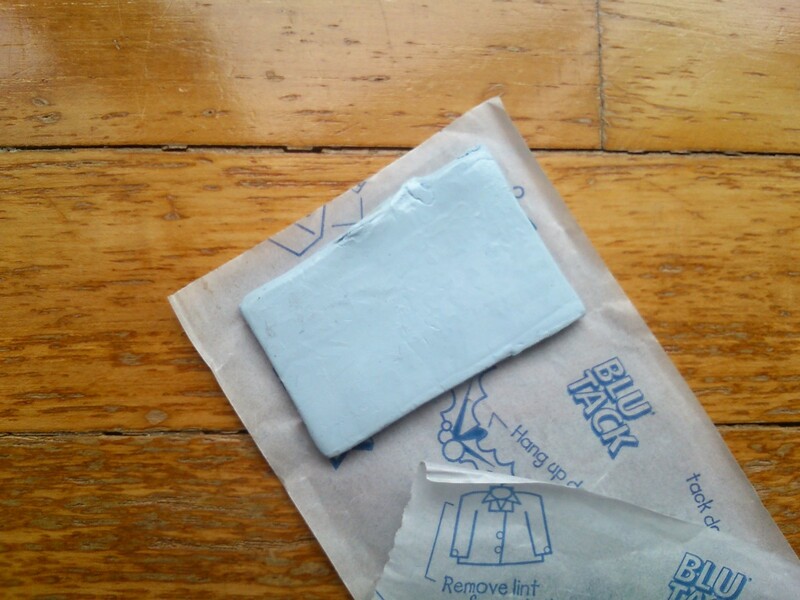 Blue tack is a waste of money and time just take off the top and sand it.